Consensus Planning completed the Tucumcari Main Street Master Plan, which involved working with a dynamic steering committee comprised of representatives from the City of Tucumcari, Tucumcari Main Street, Greater Tucumcari Development Corporation, Chamber of Commerce, etc. The Master Plan identified catalytic projects, including the redevelopment of the Depot District, based upon the results of a 2.5 day planning charrette. The Depot District concept included redeveloping the depot building into a rail and transportation museum, restaurants and small retail uses within a community-oriented plaza setting, a new City/County building with associated parking, landscape and streetscape improvements, farmers’ market area, rail car/motor court motel, and infrastructure to support redevelopment. Physical, institutional, and regulatory actions designed to spur redevelopment and reinvestment into Downtown were identified in the Master Plan. Plan sections included a comprehensive asset inventory, market analysis, community participation, and the master plan section itself comprised of goals, strategies, and phased projects; character defining elements; infrastructure improvements; municipal financing strategies; and an implementation schedule with timelines and responsible entity. A comprehensive funding resource section was also provided. The Master Plan was enthusiastically and unanimously adopted by the City Commission. 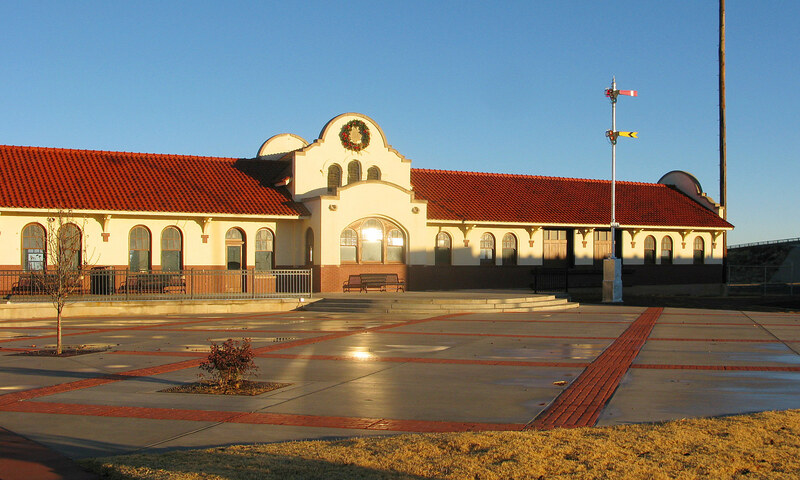 Consensus Planning provided planning and urban design services to the City of Tucumcari and Tucumcari Main Street on the primary catalytic project (design and construction of the Rail Depot and Depot Plaza) identified in the Master Plan. Consensus Planning prepared construction documents for the Depot Plaza, which included new sidewalks, planting and seating areas, decorative fencing, lighting, and a large central plaza area. 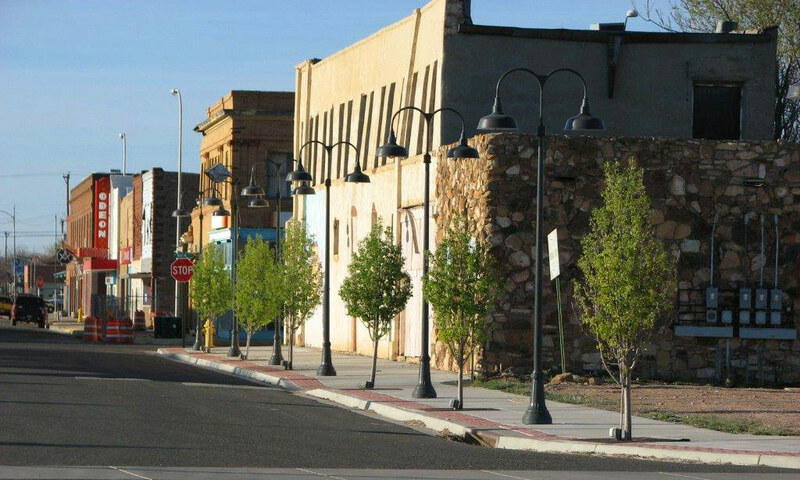 “A strength of the Tucumcari MainStreet District Master Plan is that it implemented the City’s Comprehensive Plan by recommending revitalization of a key downtown asset – the Rail Depot. Tucumcari residents had long been nostalgic for the Depot and its surrounding areas and the Plan outlined clear strategies and design elements for re-activating this cherished area of the downtown. The Plan’s market analysis is extremely valuable in helping the City to focus on its unique strengths as it works toward revitalizing its Main Street and downtown, particularly the railroad heritage and its potential as an arts community”. The City of Tucumcari MainStreet Master Plan won a first place award for Innovation in Planning for Economic Development from the New Mexico Chapter of the American Planning Association.